The Leaf Exchange Program was designed as an alternative to burning leaves. Burning leaves during fall contributes to particulate matter and other pollutants in the air. One alternative to burning leaves is composting. That's right! Leaves are excellent for composting! The Leaf Exchange Program serves to connect people who want leaves for composting with those who need to get rid of leaves. In the beginning of Fall the Air Quality Program sends out names and phone numbers of people who want leaves to people who need to get rid of leaves and vice versa. 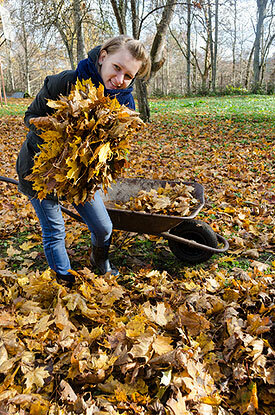 Leaf-givers and leaf-takers can then contact each other and arrange for pick up and delivery of the leaves. If you would like to be added to this list, please contact Jackson County Air Quality at (541) 774-7835.